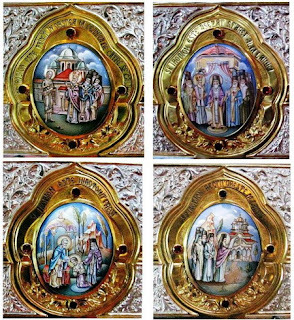 Saint Irodion (Herodion) is one of the newest proclaimed saints in Romania, a monk living in the 18th century as abbot of a monastery in the mountains, near the border between the provinces Oltenia and Transylvania. A file discovered in the National Archives (no. 335 from 1872), referring to all the monks in Gorj county, states that the monk Irodion Ionescu was born in Bucharest in 1821 – the year of a revolution against the Turks, when the dominance of the Greek nobles from the constantinopolean quarter Fanar has finished. The same file offers some other informations, that he was tonsured as monk in Cernica monastery, near Bucharest, in 1846 –that as, being 25, and at the moment (1872) he was 51 years old and abbot at Lainici monastery. He had a pleasant look, brown hair and green eyes. At the beginning of the 19th century the abbot at Cernica was St. Calinic who, afer being ordinate as bishop of Râmnic (in 1850) took the young Irodion with him and sent him in 1851 to the hermitage built in Lainici, a pass made by Jiu river through the Carpathians, serving here as deacon since the summer of 1853. 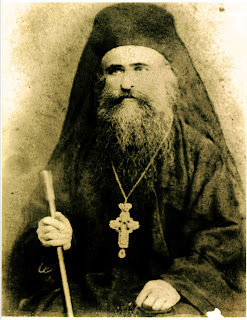 In 15 June 1854 a decree kept in the archive of the Diocese Râmnic New Severin states that the bishop ordained him priest, and both abbot in Lainici, being 33 years old, after the resignation of the former abbot, hieromonk Cyril to give the next book appointment. Irodion didn’t resist too much as abbot because of the protesters, who didn’t enjoy his strong asceticism, and resigned on 30 June 1855, being appointed the oikonomos (the administrative responsible) Dorotei instead, on 2 July. 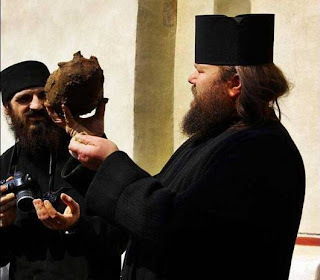 He resisted also only a year and asked the resignation too and was followed by After another year, Irodion was reappointed abbot, at the will of the monks and of the laymen donors of the hermitage, as a writing of St. Calinic on a page of the Triodion, on 29 March 1857, suggests. Another request made by another abbot named Luca in August 1859, suggests that in someway the instability inside the community continued in the next years. Probably Irodion resigned once more and Luca was asking this time again the reappointment of Irodion. In any case after 1859 at least for the next 4 years the silence came back at Lainici. Irodion helped at the construction of another hermitage, at Locurele, proceeding to the selling in 1861 of some cult objects, in order that the monks to have all the necessary. Appointed for a while as ecclesiarch of the cathedral in Craiova, Irodion left once more his hermitage – being replaced between 8 June 1863 and 25 May 1865 by hieromonk Ilarion. In 1865 Irodion is for the forth time abbot and tries again to organize the community. The turbulences persisted, so he asked in November 1869 the resignation and also the moving in another monastery. The next years in the hermitage were very difficult because of the lack of organization, but also because of a law given by the prince Alexandru Ioan Cuza (1859 - 1866), which stated the secularization of the Church’s properties, very great at that time – about ¼ of the total surface of the country, but from which a big part was administered by the monks from Athos, Palestine and Sinai monasteries. 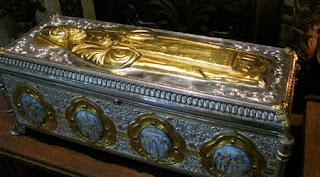 For the 5th time Irodion was appointed abbot in Lainici in 1873, because there was no one to try to save it.This time he remained here until his death, occurred in 1900. After a while the spiritual life increased and also the number of the monks – from 15 to 30. He used to bear a surname – bishop Calinic used to call him every time he came in the monastery as “the morning star of Lainici”. In 1877 the new prince Carol I (1866-1878, king between 1878-1914) allied with the Russian tsar Alexander II (1855-1881) declared war against the Turks. During this war (in Romania known as the War for Independence) Irodion and 12 of his monks helped as nurses on the battlefield. In 1889 bishop Ghenadie of Râmnic appointed him also as abbot of the Locurele hermitage. 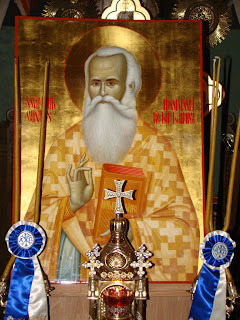 The local tradition of the monks states that Abbot Irodion used to celebrate daily the Holy Liturgy and the Eucharist and had the spiritual gift of the foreseeing, reading the thoughts of the people he met. Also he made exorcisms and prophesized the future. He also foreknew his end, telling also that the hermitage will be abandoned after some years. 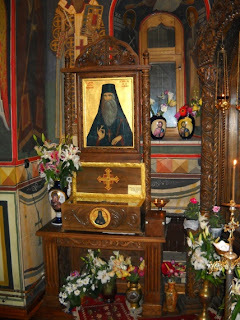 Abbot Irodion died in 1900 being buried near the altar of the church. In 1916 during the war, the Germans occupied the hermitage and transformed the church into stable for horses. Only in 1929 Abbot Visarion Toia managed to restore the monastic life here. 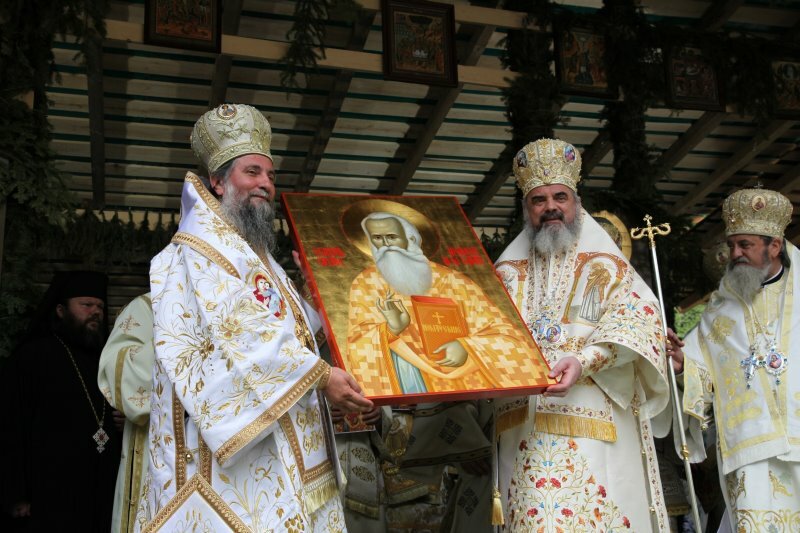 Seven years later the hieromonk Julian Drăghicioiu opened the tomb and found the body of the saint unchanged, so that he decided to bury him back. 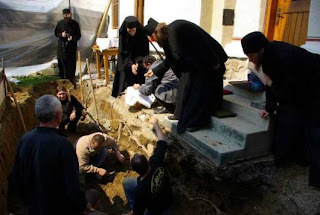 Later in 1929 Visarion Toia opened the tomb again but buried him in a deep place which was discovered only after the entire community of the monastery, headed by Archimandrite Joachim Pârvulescu fasted and prayed for a week, and also Metropolitan Irineu of Oltenia prayed too. 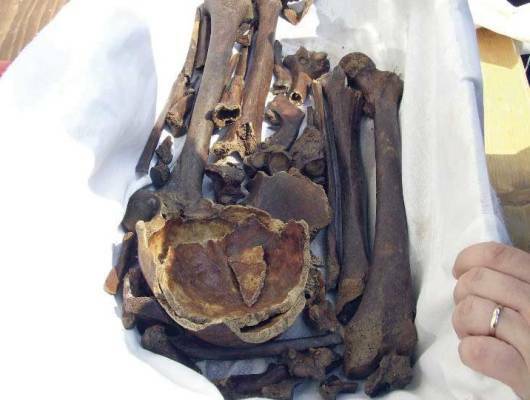 Finally he was discovered in 10 April 2009. His relics had the usual brown-orange colour of the holy bodies and spread the typical incense. 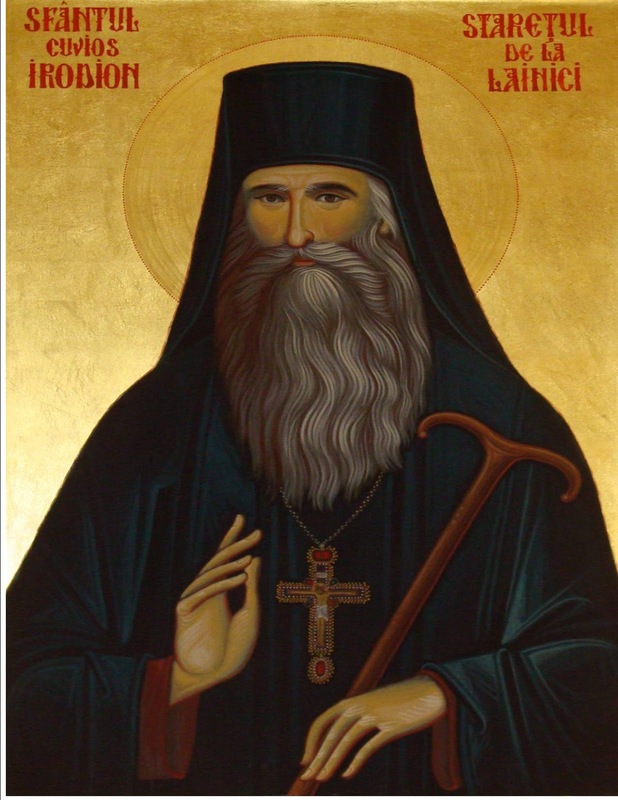 On 29 October 2010, the Synod held in Bucharest decided the canonization of Saint Irodion of Lainici, who was for a while the confessor St. Calinic of Cernica. Saint Irodion is celebrated on 3 May. His Relics are kept in the church of his monastery.